Amy Monroe thinks she’s investigating secret scientific experiments in a small town. 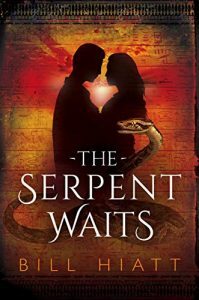 Instead, she finds secret magic from ancient Egypt that could change her life forever–if it doesn’t end it first. As far back as he can remember, Bill Hiatt had a love for reading so intense that he eventually ended up owning over eight thousand books–not counting e-books! He has also loved to write for almost that long. As an English teacher, he had little time to write, though he always felt there were stories within him that longed to get out, and he did manage to publish a few books near the end of his teaching career. Now that he is retired from teaching, the stories are even more anxious to get out into the world, and they will not be denied! Since fantasy has always been Bill’s favorite genre, and since he spent thirty-six years in teaching, mostly at the high school level, it’s not surprising that his first published work would be young adult fantasy, though he plans to explore other genres in the future, including science-fiction, horror, and nonfiction related to education.